Home / Election2015 / Leon Ross / Politics / What are the alternatives to our electoral system? What are the alternatives to our electoral system? After the surprising Conservative majority of this year’s general election, there seems to be a mass amount of people who believe our current electoral system, First Past the Post (or FPTP), is unfair and undemocratic? I am one of those people and I wish to discuss the alternative systems and how our current one works. A candidate requires a plurality of votes to win (that is one more than the second placed candidate). However, unlike other systems such as the Alternative Vote (which we had a referendum on in 2011) does not require the candidate to win more than 50% of the vote to win. Electors cast a single vote by placing a cross (x) next to the name of their preferred candidate (note that FPTP does NOT allow preferential voting). MPs are elected in single member constituencies (unlike in the European Parliament where we have multi-member constituencies). Constituencies are roughly the equal size (70,000 electors). The main flaw of our FPTP electoral system is how our votes are only counted in our constituency. So my vote in my constituency does not count towards the entirety of the UK, this is why the Green Party, UKIP and the Liberal Democrats did shockingly in this election, they had many voters. However, due to our electoral system, their votes only counted in their constituency thus, due to the majority of people not voting for smaller parties’ means that a vote can be wasted. Voters indicate their preferences by writing ‘1’ beside the name of their first choice, ‘2’ next to theis second, etc. This continues until one candidate reaches a majority of the votes in the constituency. Political parties draw up a list of candidates, in the order in which they will be elected. 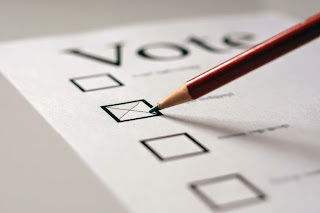 Electors cast 1 vote for a political party or an Independent candidate, people cannot choose the candidate they like from a political party in a closed list, but can in an open list. If no candidate reaches the quota on their first count, the lowest placed is eliminated and the second preferences are transferred, the process of elimination continues until the quota is met. All of the systems above as you can see are all used in the UK. So why haven’t we adopted a fair one for the arguably most important election, the General Election? Election results in these electoral systems have been shown to increase the amount of representatives for smaller parties that are vital for keeping our elections democratic and alive, the results have also resulted in fewer people voting tactically, which is undemocratic and it has given the choice for people to find a party that represents them, the rise of small parties ends the question “who should I vote for?”. We, the people need to have our votes counted nationally, we need electoral reform, and we need it as soon as possible. The only parties that support Electoral Reform are the small parties such as the Liberal Democrats, the SNP and the Greens. The New Scientist ran an interesting article about 2 years ago analyzing about 6 or 7 different voting systems. the subject and have no real idea what they are advocating. But the loudest not most wise voice wins out.